GTS1500 Professional wood chipper with powerful Briggs & Stratton XR2100 Professional engine. 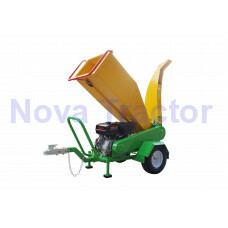 Nova Tractor GTS1500 Wood shredder wood chipper for fast and professional wood processing with up to 4 inch diameter. Nova Tractor GTS1500 is a powerful wood shredder for professional applications if you don´t have a tractor or high voltage current available. The GTS1500 is powered by Briggs & Stratton XR2100 Professional engine and makes you completely independent where you want to use it. 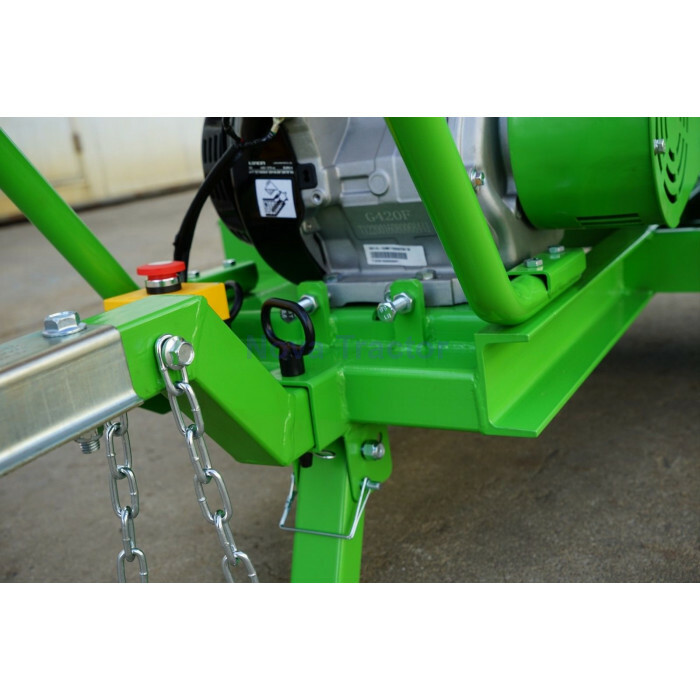 The adjustable trailer hitch and the agjustable support leg both allow easy transportation of the wood shredder even in offroad environment using an ATV or SUV car. The wood chipper can be even used as trailer on public roads with a maximum speed of 15 mile/h, but you need to comply with local regulations. 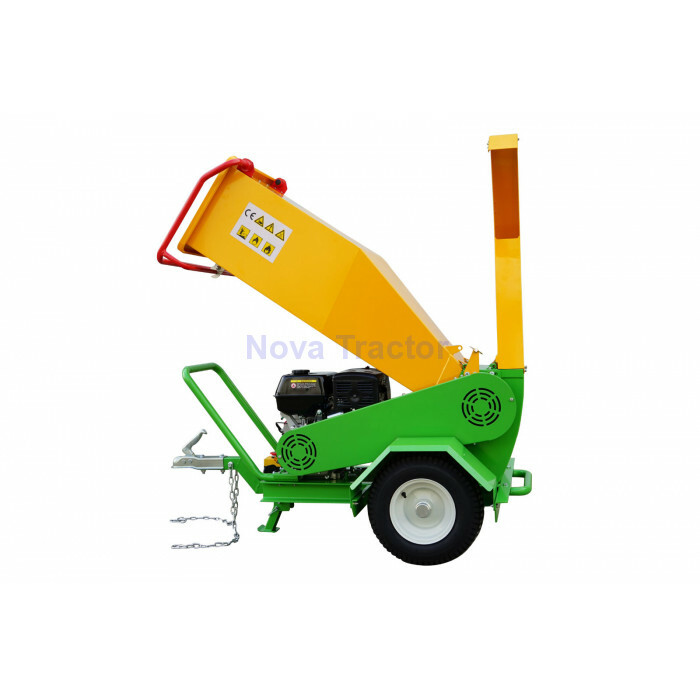 The GTS1500 is a perfectly balanced wood chipper so that you can easily move it arround by hand. 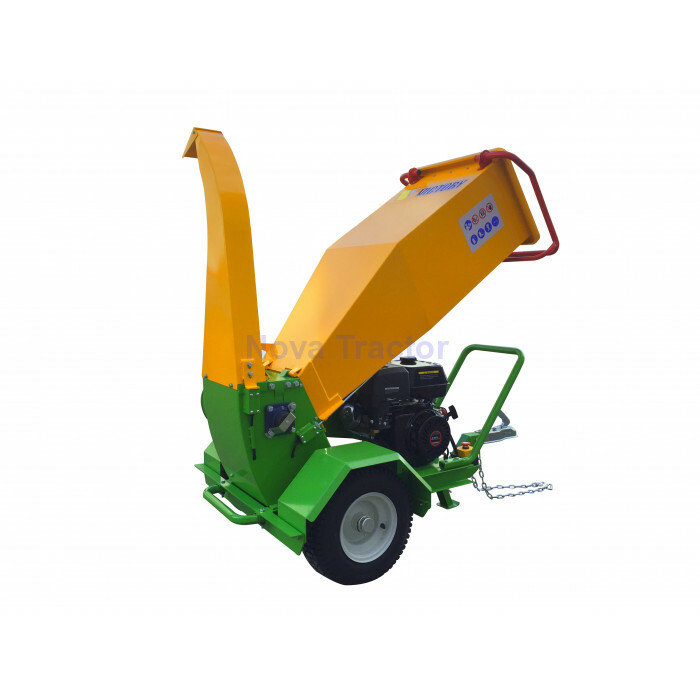 Its large wheels and the well positioned handle lets you easily move the wood shredder arround in your garden. 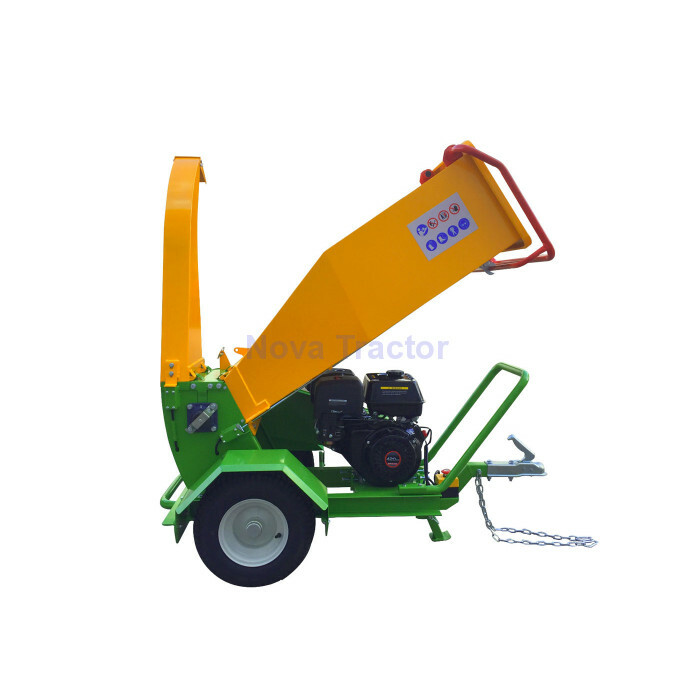 The wood shredder mechanism is designed as roller with 30cm width, equipped with 2 large A8 mold-steel knifes. These rotating knifes pull in the branches and cut them against the counter knife. Depending on the sort of wood this works up to a 4inch branch diameter with a capacity of up to 2000lbs wood to be shredded per hour. 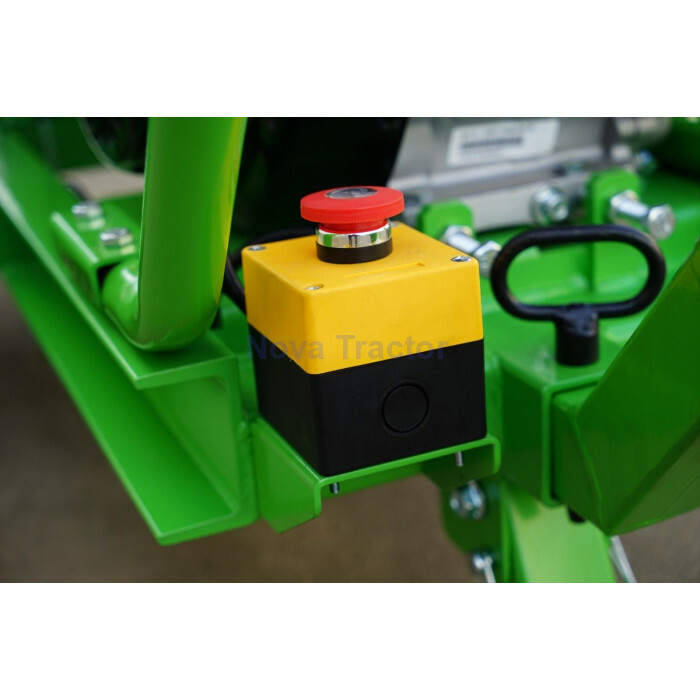 The output chute directs the shredded wood onto a trailer or other locations where needed. The service friendly design concept of our wood shredder, guarantees easy maintenance also on the new GTS1500. 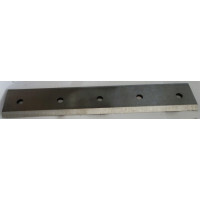 Parts likes knifes and counter knifes are easily accessible. Input and discharge funnels can be folded up within minutes for fast service. 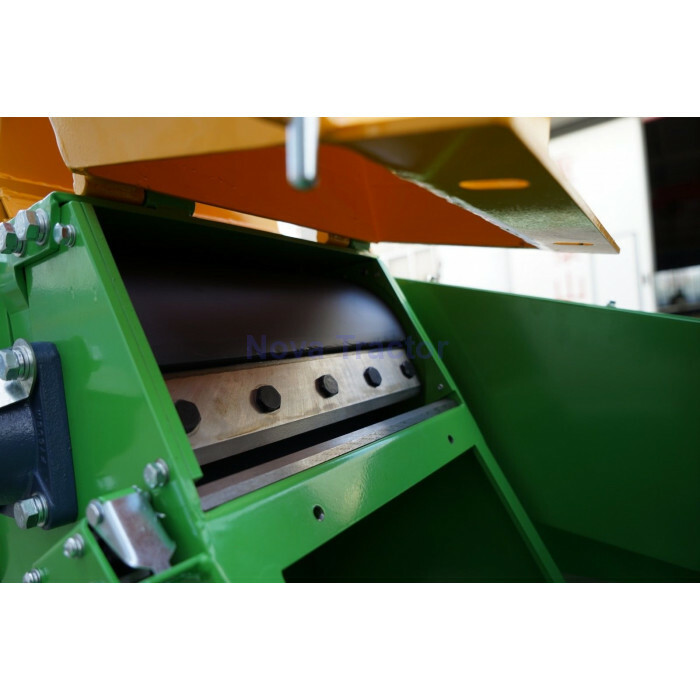 The Nova Tractor GTS1500 wood shredder complies with all safety regulations and is CE tested following the 2006/42/EC machine directive. We from Nova Tractor Tractor firmly believe that you will not find a better value for money engine wood chipper in the market. Feel free to compare our product to others in the market and we are sure you will agree.